105.9 The Region (CFMS) is an independently owned and operated FM music service. 105.9 The Region (CFMS) launched in December of 2013 with a focus on what was happening in Markham, Richmond Hill and Vaughan. Given the role of regional government and services in the day to day lives of people in these areas, the focus quickly expanded to cover York Region. Playing the best of the 80s, 90s, 00s and now, 105.9 The Region is able to offer a large playlist, fewer repeats and appeal to a wide age range of people. 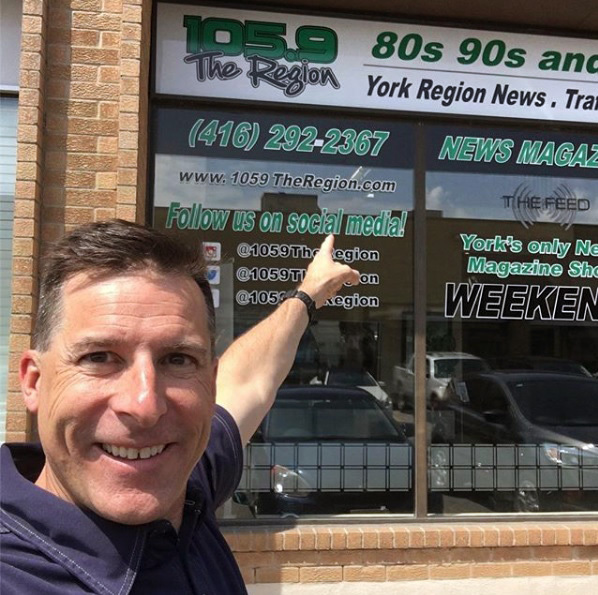 With over 10 hours committed to news and traffic each week, 105.9 The Region keeps listeners informed of what is happening in their local community whether it’s in York Region, across the GTA or anywhere in Canada. Two news/lifestyle magazine programs on the weekends give listeners insights into the stories behind the headlines and allows residents to hear voices from their community. Partnerships with the York Regional Transit, and York Regional Police helps CFMS keep residents apprised of traffic and commute slowdowns which are an increasing problem as York Region continues to outpace the GTA in terms of population growth. A stream of third language programming both on the main channel and on the HD services provide local news and popular music to one of the most culturally diverse populations in Canada. 105.9 The Region is York Region’s radio service and can be heard from Oshawa in the east to Guelph line in the west to Lake Ontario in the south. CFMS, 105.9 The Region is everywhere our listeners are! This is the Midday show! Four hours of talk-free radio; except for top of the hour news, weather and traffic, so you can sit back and enjoy hit songs from the 80's, 90's and NOW.